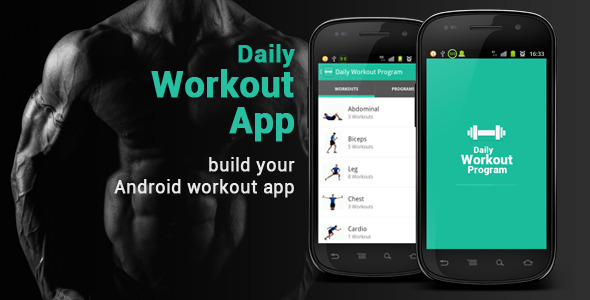 Daily Workout App is an application template for Android that can be used to build your workout or fitness app. 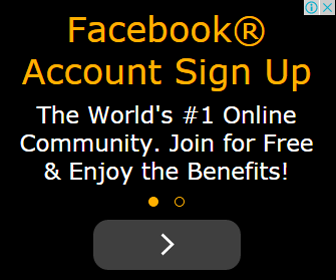 comes with many features, such as workout list, user daily workout programs, and stopwatch. you just need to insert your own workout list then user of your application will added to their daily programs. With Admob integration you can earn much money from your workout app. Nice & customizable UI designcomes with nice holo theme you can easily customizable the color of the app using Android Assets Studio. Categorized listall workout trainings are organized in category to easily manage the workouts data. User daily programsuser can add workouts to their daily programs. Latest Android technologywith Actionbar Sherlock library and Android support library, actionbar and fragment that use in this app will work on all Android version. Animated picturesworkout data that comes with multiple images will be animated so that user will have a clear instruction about how to do the workout. Stopwatchcomes with stopwatch to set how long the workout should be done. Documentation file includedcomes with documentation file to help buyer customizing the app.